With Derby having a bit of a run, it is perhaps not the best time to play them, but away from home Spurs are on a run too !! Last week's win came courtesy of a penalty, but for the rest of the game they were hanging on a bit, as Villa were thwarted by new keeper, Andy Oakes. He has come in to replace Mart Poom, who is out long term injured and has impressed with vital saves in this game and the one against Sunderland. His defence has been a worry for Rams fans this season and despite the emergence of promising centre half Chris Riggott and the arrival of Nigerian Taribo West, there can still be visible shivers running through the spine of the back four. Horacio Carbonari and Stefan Schnoor have not been involved lately, mainly because the former has been out of favour, while Schnoor is now a Wolfsburg man after he found himself becoming too violent during Premier League matches. Lilian Martin, signed from Marseille, is suspended for the Spurs game, so the other defenders could come from former Manchester United youngster Danny Higginbotham, Norwegian Bjorn-Otto Bragstad with Craig Burley or Seth Johnson, playing as a wing-back. He has been out injured lately and is only just coming back, so may not be risked from the start. Scot Brian O'Neil came to Pride Park as part of the swap deal that saw Schnoor leave and he has experience that could come in use for the fight against the drop. In midfield, there is the magical Georgi Kinkladze, who has also suffered a spell out with a hamstring injury, but could be ready to return for this match. His skill is undoubted, but his attitude sometimes leaves a bit to be desired. Alongside him should he play will be Darryl Powell, a tenacious worker who scores the occasional spectacular goal, although not always intentionally !! He has a good shot and breaks forward stretching his long legs to join in with attacks. Rory Delap has also been a player who has caught the eye this season, with impressive performances in the engine room. Another capable of getting amongst the goals and quite an accomplished finisher. Youngsters Boertien and Murray have all been drafted in at times to cover the midfield area, but Stefan Eranio has provided some experience and style to the middle of the team, again weighing in with the odd goal. There is a choice of forwards despite the recent sale of Dean Sturridge to Leicester City. Young Malcolm Christie is the leading scorer and is a handful every time he plays Spurs, while Deon Burton has also started to get onto the scoresheet more often. Having just returned from injury, Branko Strupar will also be looking to re-establish his goalscoring credentials, especially from free-kicks, which are speciality. Lee Morris has also featured in the forward line this season and although he has not got a lot of experience, he looks a talent who will benefit from Premier League exposure. Weather : - Cold, sunny. Derby County: Oakes, Delap, Riggott, West, Carbonari, Higginbotham, Powell, Burley, Johnson, Strupar (Burton 57), Christie (Gudjonsson 77). Subs Not Used: Morris, Murray, Grant. Tottenham: Sullivan, Clemence (Iversen 76), Doherty, Campbell, Young, Thelwell (Gardner 45), Freund, Sherwood, King, Booth, Ferdinand. Subs Not Used: Walker, Korsten, Etherington. Nice Stadium, shame about the result, is a comment that sums up Spurs visit to Derby. 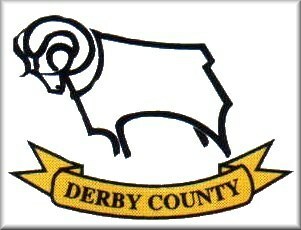 This was the 100th match at Pride Park. Derby are looking to ease away from relegation threats and have put a little run together. Who better to play than Spurs who have lost as many league matches on their travels as bottom club Bradford. Spurs did little to improve their away record with perhaps one eye on next week’s FA Cup encounter. There was no Rebrov, so Andy Booth took his place up front alongside Ferdinand. Most Spurs fans thought and wished Booth had returned to Sheffield. Hopefully after this performance he will. It has not been a tremendously successful loan arrangement with Booth’s goal tally standing at Nil. At the back, Thelwell came in to play on the unfamiliar left side of the three centre backs, which also did not work for him. There was a lot of height in the Tottenham team, which suggested plenty of high balls. Even with all that height Spurs contrived to concede a goal as early as the 12th minute when trying to defend a corner. Riggott headed on the ball to an unmarked Strupar at the back post who stabbed home. Spurs were struggling to find any sort of rhythm and worse followed. From a break Christie was bundled over by Thelwell to concede a penalty. Strupar scored his second from the resultant spot kick. Gradually Spurs started to threaten but they were out of luck after a couple of goalmouth melee’s where they did not have the run of the ball. Late in the first half there was also a bizarre yellow card for Freund. As he tried to make progress down the line he was brought down from behind as another Derby player in front of him played the ball out. Freund and the Derby player exchanged words and the referee who missed the offence called them together for a talking to. Freund insisted on continuing the discussion until he talked himself into a yellow card. The card was flourished in the face of Freund, with arrogance usually associated with the Germans. The referee Mr. Harris (of "substitute for a player sent off" fame at Tranmere) made a number of “homer” decisions to justify his poor rating. Spurs raised their game in the second half and created a number of chances, which they could not finish. Taribo West decided to help out by heading an own goal over his keeper from a through ball from Campbell. Derby held on and overall one has to say they wanted the win more than Spurs. For Tottenham Gardner had a decent second half after Thelwell had looked nervous. Campbell again did well as did Doherty. King was the pick of the midfield. Sherwood continued to sell his own players short with his passing and then blamed them. Ferdinand’s body language looked like he was saving himself. This was the first game under the direction of ENIC. I hope the second away game, at West Ham, provides a better result. What is it with Tottenham ?? Why do they turn up and only play half the match ?? Why are there so many Spurs players who look as though they would rather be somewhere else ?? These and many other questions played on my mind on the way home from Derby. Having been stopped from selling MEHSTG outside as I "didn't have permission to sell on Derby County land", it was not the best start to the day. Especially as when I entered the ground I found I had a series of fans in the row behind me who would have benefited from rage counselling. Well, that and in need of a face mask to stop a shower of spittle raining down on my head. Is it just me or do we all get upset at the team's performance, but not all get rabid about it ?? Maybe I am just too used to seeing the mediocrity served up in the name of Tottenham Hotspur. As far as I could see, there were too many of the Spurs team who were not willing to die for the cause. Some were unable to due to lack of ability, some through lack of effort, but there should be a visible desire to win that is evidently missing. Derby, in their 100th game at Pride Park, showed in the first half that they wanted it more. Spurs, conversely, were unwilling or unable to get into the Derby penalty area and threaten their goal. The only occasions I can think that that happened were when Sherwood beat the keeper to the ball in the air and headed wide and when there was a scramble and King's shot from around the penalty spot was blocked. A shot by Clemence straight at Oakes was the only other notable effort. Meanwhile all sorts were going on in Spurs' box. A corner awarded for a deflected shot was nodded on at the near post and Strupar ran around the back of Sol to have an unattended volley at the far post. That was the first. Then Thelwell managed to get in the way of Christie to foil a run, but ended up being spun around by the Derby forward in a wrestling-type throw that Mr. Harris considered within the laws of the game. The next time the two collided Harris still opted in favour of the home side and awarded a penalty to Derby. Thelwell had not won a header to a high ball cleanly and as he ran after Christie who picked the ball up, he clipped his heel in the corner of the area with the young Derby player going away from goal. When there used to be a degree of intent involved in giving fouls, at least the ref had to think about his decision. Here Harris couldn't conceal his run to the spot with whistle blowing joyfully. Needless to say, for a team who have conceded more penalties than any other in the Premiership, Spurs went two down. The Belgian Strupar doubling his season's tally with just over half hour gone. Spurs were playing, not for the first time this season, like a team who had just met. The second half improved, but Spurs still seemed to have no guile in breaking down the massed ranks of Derby's defence, but they were at least doing what Tottenham should have been. Getting players behind the ball when they lost it - a basic tenet of football philosophy. When Spurs lost the ball, they looked like they didn't care and wandered back as the Derby players streamed forward. When Burton ran half the length of the pitch to hassle Doherty, I could not imagine Les doing the same. Booth looked unfit and out of his depth, which for a player who has played in the Premier League was odd. However, he didn't look too out of place in the Spurs team. Hopefully, his loan period will spell out to the management the sort of player who is needed to score against opposition's defences. He had three good chances in the second period from close range and only got one on target, that being a well saved header. Two shots which could have made a difference to the scoreline went a yard wide. Doherty's header went over the bar, King caused a scramble in the goalmouth, Sol's blocked shot and Iversen's effort likewise were the sum total of Tottenham's own chances, but the goal came in bizarre circumstances. A move in the Derby half was ended by a pass back to Campbell just inside his own half. His long high ball into the box was, not for the first time, not attacked by a Spurs player and Taribo West was underneath it. As Oakes came for the ball, the Nigerian headed it over him and into the net. I am not sure one of the Spurs forwards could have done it any better. Amazingly, it was the first goal they had conceded in over six hours of football !! After this, Derby lost their cool and only had one more chance, when Christie robbed Doherty and ran on to shoot over the bar, when he had Burton unmarked alongside him, although credit to Anthony Gardner who did shepherd him away from that option. Few bright points came out of the match. Iversen looked fitter when he came on for the last quarter of an hour, while Gardner looked calm and collected when he came on, showing a nice line in bringing the ball out of defence (so if Rio is worth £18 million, Ant must already be £7 million and rising). Doherty looked strong in defence and Sol did well apart from the first goal, also bringing the ball out on his own (perhaps because nobody make space to receive the pass). And Ledley did some good things in midfield when surrounded by a number of Rams players. But we need more players to perform, especially away from home. Without taking anything away from Derby, who fully deserved the three points, Spurs need to beat teams like this if they are to seriously challenge. What ENIC will make of it will be interesting to see.